Amnat Charoen (Thai: อำนาจเจริญ, [ʔām.nâːt t͡ɕā.rɤ̄ːn]) is one of the northeastern provinces (changwat) of Thailand. 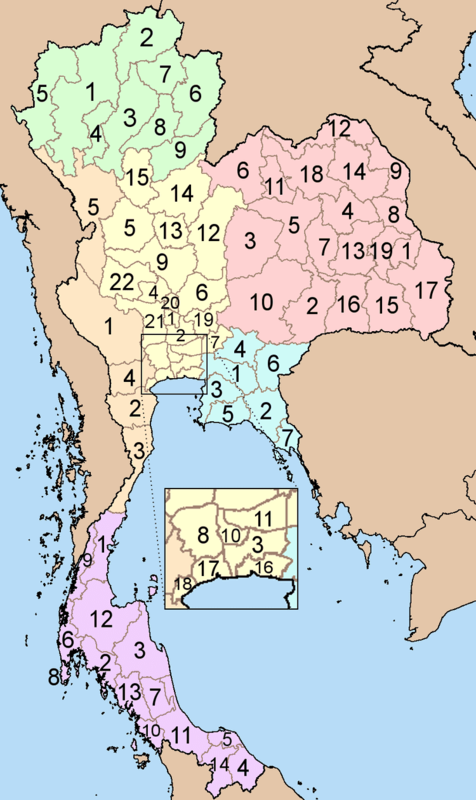 Neighboring provinces are (clockwise from the south) Ubon Ratchathani, Yasothon, and Mukdahan. To the east it borders Salavan of Laos. Its name is a concatenation of อำนาจ ("authority, power") and เจริญ ("prosperous"). The province is in the Mekong valley. 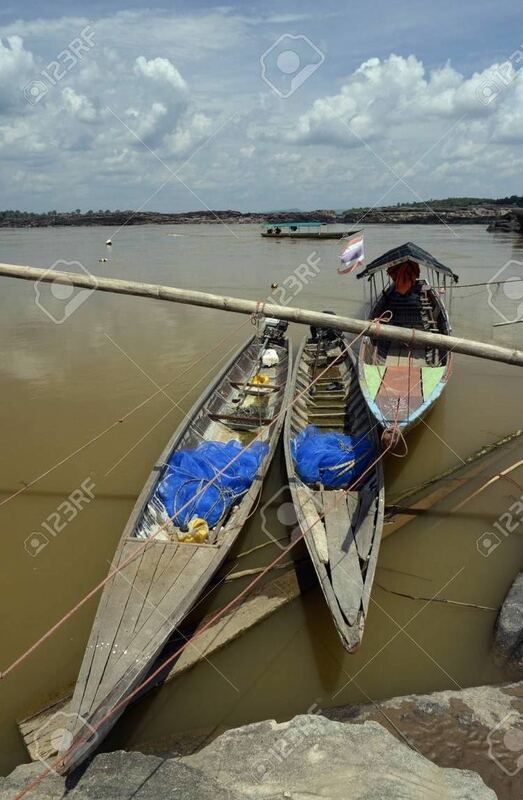 In dry season, from February to May, water in Mekong River declines, and allows islands to appear. Islands include Kaeng Tanglang at Si Sombun Village, close to Amphoe Chanuman, and Kaeng Hin Khan at Ban Hin Khan, 30 kilometres south of Amphoe Chanuman. The other two rivers in the province are the Lam Sae Bok and Lam Sae Bai. Phu Sa Dok Bua National Park is partially located in Amnat Charoen Province. Amnat Charoen gained city status during the reign of King Rama III. 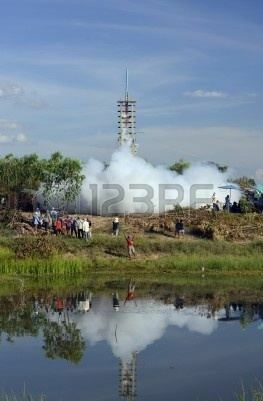 It was first administered from Nakhon Khemarat, and later from Ubon Ratchathani. It became a province in its own right on 12 January 1993, when it was split off from Ubon Ratchathani. It is thus one of the three newest provinces of Thailand, together with Nong Bua Lam Phu and Sa Kaeo. In the middle of the provincial seal is an image of the Buddha called Phra Mongkol Ming Muang. 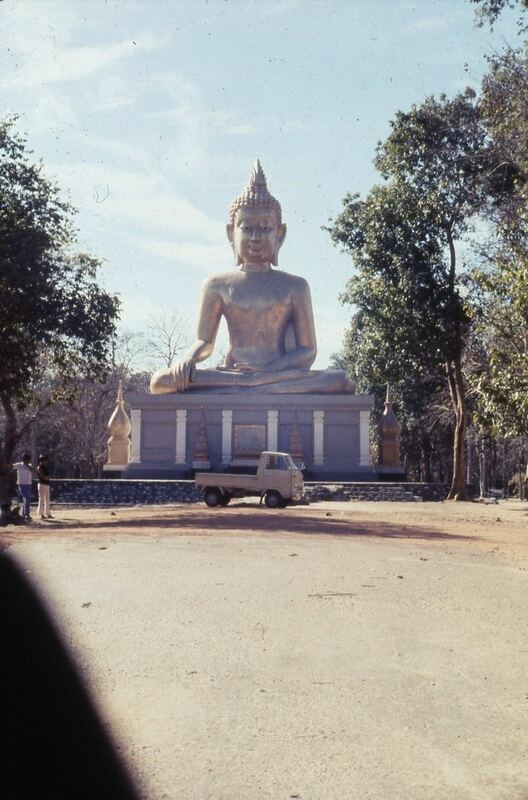 Also known as Phra Yai (Big Buddha), this 20 m high statue is the most sacred one in the city of Amnat Charoen. The provincial tree is Hopea ferrea. The provincial slogan is Phra Mongkhon, seven river basins, sacred caves, Phra Lao, beautiful islands and mountain, precious silk and religious people. The province is divided into seven districts (amphoe). 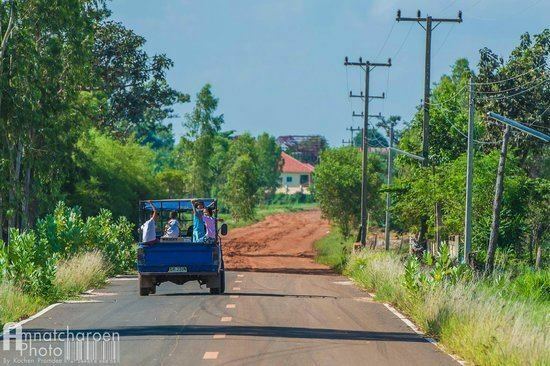 The districts are further subdivided into 56 communes (tambon) and 653 villages (muban). The people of Amnat Charoen attach their lifestyle to local traditions and festivals that are held throughout year such as the festival to mark the end of Buddhist Lent, the Rocket Festival, Loy Krathong and Songkran. Moreover, they practice 14 moral precepts such as cleaning feet before entering a home, donating food to monks, avoiding stepping on a monk's shadow, paying respect to parents, paying homage to Buddha images with flowers, candles, and joss sticks and learning Dhamma every day. Most people in Amphoe Chanuman are descendants of the Phu Thai ethnic group who migrated from Laos. They specialise in weaving "khit" cloth, preserving its unique patterns. Their traditional musical performance "mor lam" always supports the democratic constitutional monarchy. 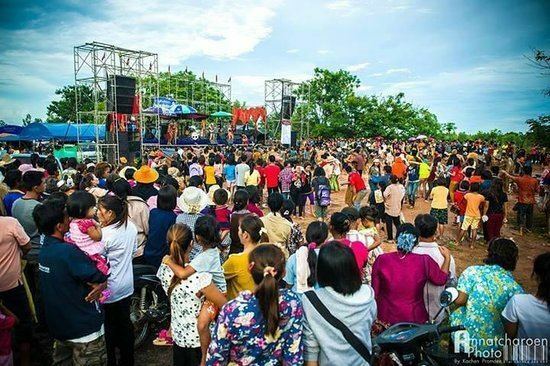 Amnat Charoen people try to retain the "long khuang" tradition which consisted of teenagers meeting up for communal activities such as weaving or silk spinning accompanied by lively traditional music.